Jeff Molander is a social media speaker and analyst. As CEO of Molander & Associates Inc. he helps people build profitable businesses by challenging current marketing practices and connecting marketing tactics directly to strategic goals. Jeff can be reached at jeff_at_jeffmolander.com. 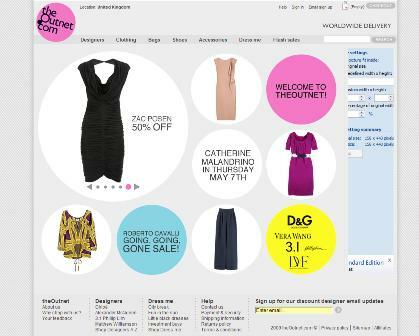 High end fashion retailer Net-A-Porter recently launched theOutnet.com, a clearance site which offers designer names at discounts of up to 80%. Several retailers have been busy launching outlet sites this year; they offer a good way to offload out of season stock and, in the current economic circumstances, have the added effect of appealing to bargain hunters. A bargain on theOutnet.com is more likely to mean paying £300 rather than £450 for a pair of Jimmy Choo shoes, so it perhaps doesn’t appeal the the same type of shoppers the Debenhams Outlet I reviewed recently, but how does Net-A-Porter’s offering compare? Microsoft surprised a lot of people with its Laptop Hunters advertising campaign. They were surprisingly unawkward, unlike Microsoft’s Seinfeld campaign. While ‘hip‘ may not be a good descriptor, they weren’t uncool either. Apple is standing idly by, however. It is firing back with another ‘I’m a Mac‘ ad that takes aim at Microsoft’s campaign.